This tentative list of workshops is subject to change. Updates will be posted as they become available. 1. Recognizes water and sanitation as human rights and water as a commons. 2. 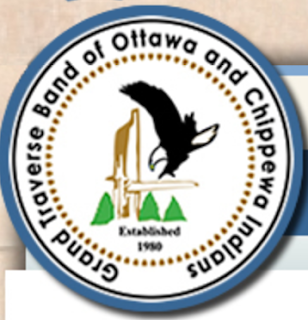 Bans or phases out the sale of bottled water in municipal facilities and at municipal events. 3. 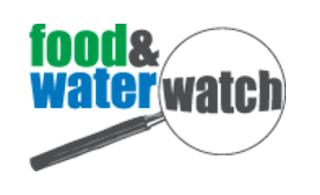 Promotes publicly financed, owned, and operated safe water and wastewater infrastructure and services. 4. 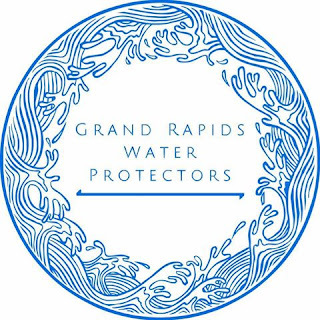 Recognizes the public trust that protects the waters and community uses of the Great Lakes. Workshop 2: Paint the town blue: How to make your community a Blue Community! There are nearly 20 Blue Communities in Canada and the project has grown internationally with Paris, France, Cambuquira, Brazil, communities in Switzerland and Northampton, MA going blue. Faith based groups like the World Council of Churches have also adopted the Blue Communities principles. The Blue Communities Project started in Canada and was launched by the Council of Canadians and the Canadian Union of Public Employees. The Project is also sponsored by FLOW in the Great Lakes and Eau Secours in Quebec. 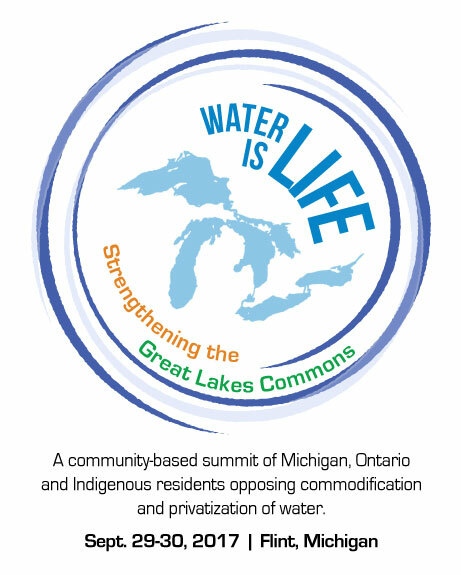 Learn what you can do as a community activist, public sector worker, concerned resident or municipal councillor to help protect the water commons in the face of increasing pressure to commodify and privatize water. Join us as we review the basics of water privatization and the commodification of water by corporations like Nestle and Veolia. Hear about inspiring stories of communities who have stood up to corporations threatening their water and learn how to identify warning signs for water privatization and bottling in your own community. Workshop 4: Colonial enclosure of water: What it is, how it’s happening and what can we all do to support Indigenous sovereignty. How can we (re)Indigenize Great Lakes water governance? How are we aligning our efforts to both de-commercialize and de-colonize water guardianship? Since the Great Lakes are shared by Indigenous and non-Indigenous nations, what can we do to honor our respectful and reciprocal bonds with all of our relations? 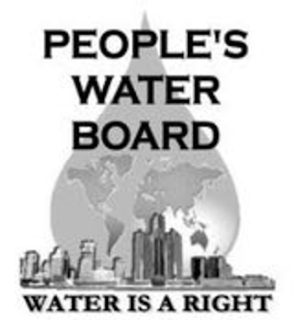 Nestle and privatizing companies don't share our water ethics and they should not be welcomed. Yet Michigan, Ontario, and their related water institutions continue to impose their water-ways onto Indigenous peoples across the Great Lakes. These colonial institutions give away resource permits and treat the waters as if they own them. Having uninvited and foreign powers control the water has been disastrous for Indigenous peoples and a renewed relationship for water sharing and governance is fiercely needed. Workshop 5: Great Lakes Water Authority public-private partnership and the grassroots quest for water affordability: Lessons from Detroit. Plus, "Envisioning A More Effective Strategy to End Corporate Water Grabs Through Community Rights Local Ballot Initiatives." Paul Cienfuegos, Community Rights U.S.
Analyzing the ways in which oil, gas and water bottling corporations gain permits that are destructive for communities and how grassroots groups can fight back. Workshop 7: Understanding the Flint Water crisis KWA back-story and Flint's struggle for survival, support and self-determination. 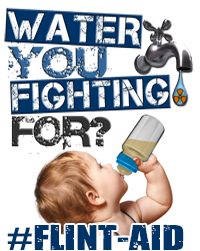 Workshop 8: Say No To Nestlé – Lessons from Wellington Water Watchers Campaign in Ontario. How did a grassroots organization in Ontario spark a public campaign that led Premier Kathleen Wynne of Ontario to declare a moratorium on new permits to bottle water and cause a review of regulations? Karen Rathwell (WWW leader) will present a timeline of significant events in Wellington Water Watchers Say No To Nestlé campaign in the last 18 months, describe lessons learned and challenges that still face the campaign to phase out permits to bottle water in Ontario.